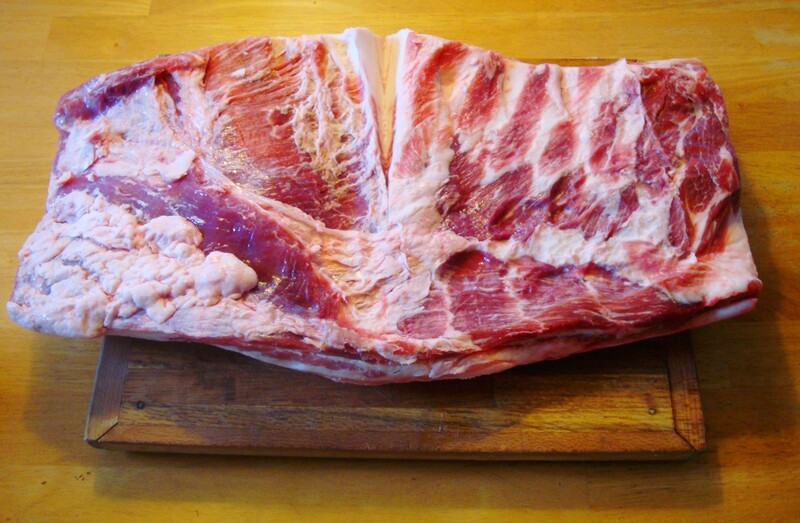 Over the last few years as I’ve traveled around the US I’ve sought regional farmers who could provide me with high quality pork bellies for my home-curing projects. I’ve found some great purveyors but none holds a candle to Henry Fudge, the best pork producer in Alabama. Fudge hit my radar when a fellow chef whom I admire, Frank Stitt of Highlands Bar and Grill in Birmingham, mentioned that he was using the old farmer’s pork in his high dollar, fine dining restaurant. 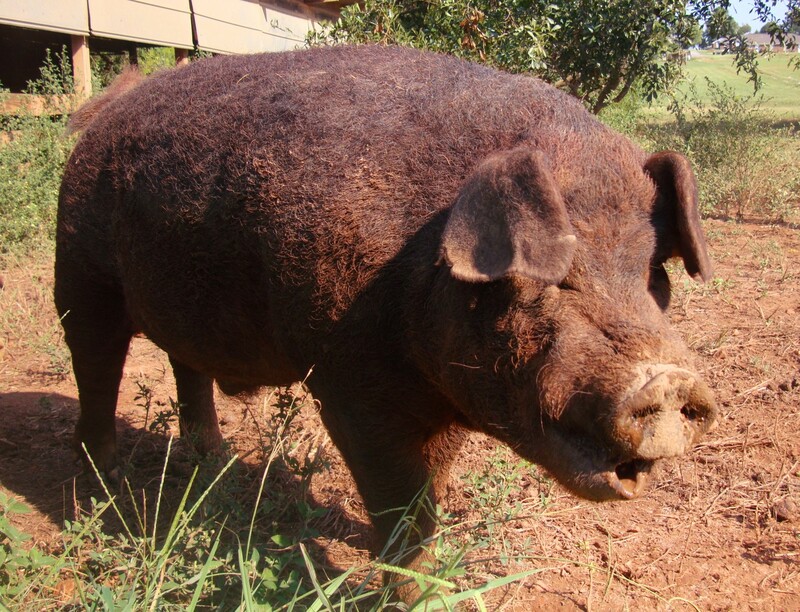 Mr Fudge is a walking, talking encyclopedia who has given his life to selective breeding of the Duroc strain of hog. My grandfather did the exact same thing in Kentucky for nearly 80 years. The Duroc breed grows big and is hardy enough to survive the (then) brutal Appalachian winters. 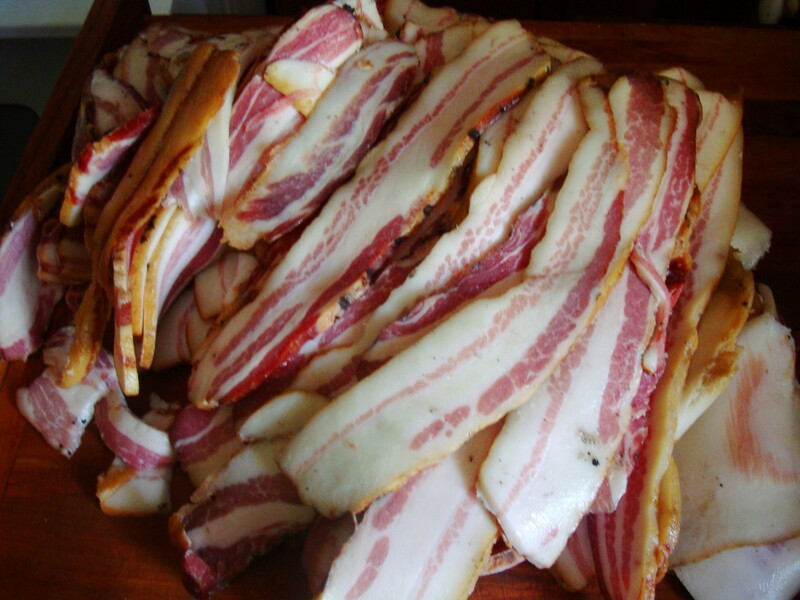 They also provide some of the best tasting meat of all breeds. Last month I stopped in Madison, Alabama (on appointment) and scored a big pork belly that has now been succesfully converted into bacon. This was the second belly I’ve cured from Fudge Farms and it is the second best belly I’ve ever turned into bacon in my life. Fudge’s first belly being my all-time favorite. Mr Fudge does not mail order but if you find yourself in north Alabama, near Huntsville you may be able to contact the old farmer and coax him into selling you the best pork I’ve ever had the pleasure of eating.